Matthew Morey, PhD, has been practicing vipassana meditation since 1995 and has sat residential retreats around the world-Massachusetts, England, India, Thailand, and at Spirit Rock. Matthew has been working with youth since 1990 as a school teacher in New York, Connecticut, and California and as a Peace Corps Volunteer in Sierra Leone. He currently serves on the Spirit Rock Teen Teacher Council and co-teaches the Middle School and Teen Meditation Series. 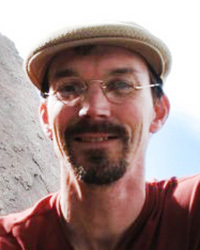 In addition to teaching, Matthew is a Licensed Marriage and Family Therapist with a practice in San Francisco. He completed a doctoral degree in East-West Psychology at CIIS, for which his dissertation examined the healing effects of compassionate awareness in both Buddhist practices and existential psychology. Matthew finds vipassana practice enriching and admires the freshness and authenticity youth bring to their practice.